The Desert City of Jaisalmer was built of dry stone in 1156. Jaisalmer is known for its magnificent sandstone palaces, ornate Jain temple, the finely wrought manors of the palace and the Hotel Killa Bhawan. Hotel Killa Bhawan is said to be the best place to stay in town. 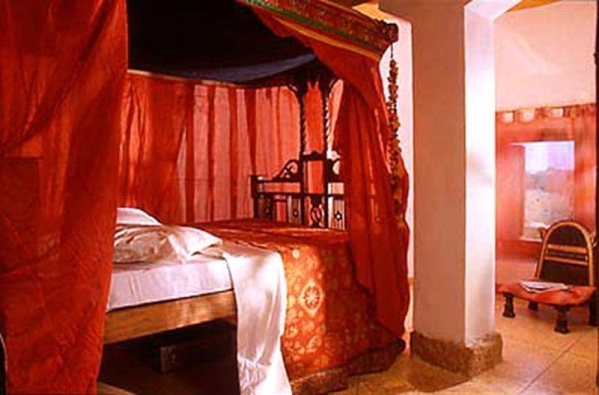 It comprises of three converted town houses built right into the fort walls, with rooms decorated in vivid shades of crimson, lime and orange. It’s three terraces command the finest Jaisalmer sunset views. 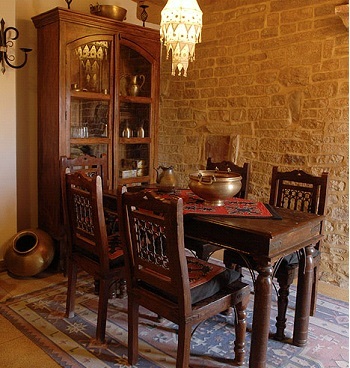 Hotel Killa Bhawan has a simple charm that suits its remote, romantic Arabian Night setting in the desert town of Jaisalmer. 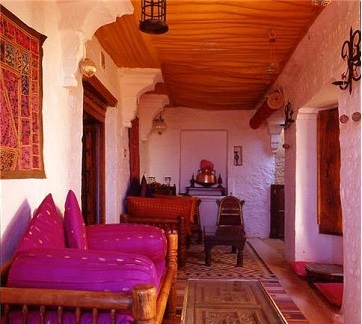 Its glorious roof terrace covered with Indian floor cushions offers a spectacular view of the town, fort and desert beyond. 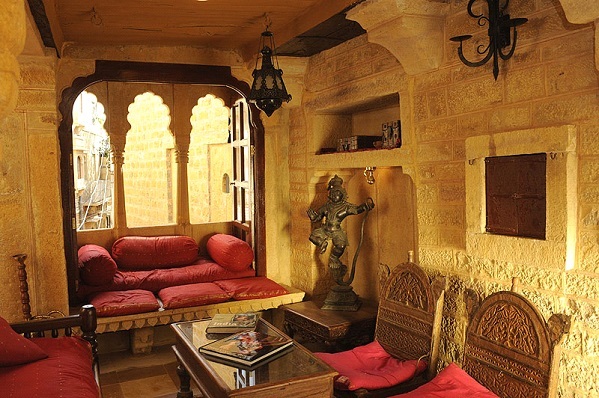 So, if you are looking for a delightful and unique vacation, the picturesque city of Jaisalmer is waiting for you.